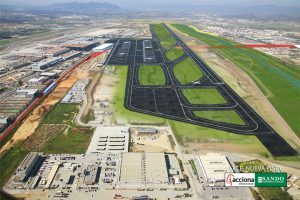 The second runway at Costa del Sol Airport is already built and advances in processing all aspects necessary for its entry into service expected in early 2012. The latest development is the approval by Aena of the navigation systems, in a report that has required a dozen test flights, according to statistics provided by the institution. These tests have shown the effectiveness of radio waves, an installed equipment on the ground that broadcast signals for landing and takeoff maneuvers. In the case of Malaga airport the current runway has two ILS (aid systems for approach) and in the new one has been installed one more.